The only accounts I’ve ever had in the past are a 401k, my wife’s 403b, and a traditional Roth IRA from when I was underneath the income threshold. Do I start at step #2 then? Honestly I’ve seen you write about this a lot of times, but I’ve always felt if something seemed a little sketchy or non-traditional that it probably wasn’t a good idea and would come back to bite me in some way, shape or form… so despite understanding the logic, I’ve never done it. But I continue to warm to it. What is a traditional Roth IRA? There is either a traditional IRA or a Roth IRA, not both. If you have no SEP, SIMPLE, traditional, or Rollover IRA, then you do not have to get rid of one before year end, that’s correct. I meant a regular Roth IRA that was not done backdoor style. I have a regular Roth IRA for me and my wife. I have zero money in a traditional IRA, no SEP, Simble, or rollover or anything. If I contributed to a traditional IRA TODAY and converted it next week would it be for the ’13 or ’14 tax year? It could be either or both. You can make 2013 contributions from Jan 2013 to April 2014. You can make 2014 contributions from Jan 2014 to April 2015. So I can contribute 5500/ yr? If i contribute 5500 in December 2015, then make another contribution in 1/2016, do I just indicate that I made a single contribution for my taxes in 4/2016 and put the second contribution on the tax return in 4/2017? Yes, you can do a 2015 contribution between Jan 1 2015 and April 15 2016 and a 2016 contribution between Jan 1 2016 and April 15 2017. Yes, that is correct. You do not have to mention anything about the 1/2016 contribution when you file taxes in 4/2016. When you file taxes in 4/2016, you just mention that you made $5,500 contribution (that you made in Dec 2015). And then again, in 4/2017, you indicate that you made $5,500 contribution. So, I’ve been on the phone with Vanguard and Fidelity to look into a couple of things and I wanted to see if you could clarify because Vanguard has me confused. With Fidelity I discussed opening SEP IRA contributing for 2018, then opening individual 401k/ traditional IRA –> roth conversion for 2019 + rolling over my 2018 SEP IRA contribution to my individual 401k to avoid any problem with the Pro-Rata Calculation. AS you have stated, Vanguard does not allow SEP –> 401k rollover. But when speaking with them on the phone, they stated that I would still be able to max out an individual 401k for 2019, make traditional IRA and convert to roth despite having opening, contributing and maintaining a SEP IRA for 2018. This was not my initial understanding,I questioned them several times about this, they seemed confused/frustrated with my question but in the end guaranteed me that my 2018 SEP IRA would not affect Pro-Rata calculation for back door roth contribution in 2019. Where as on the phone with Fidelity they seemed to understand and agree with my initial plan to roll my 2018 SEP into individual 401k to avoid problems with Pro-rata calculation. Hope that makes sense and I appreciate any clarification you can provide. You can still do a 2018 Backdoor Roth IRA contribution. The conversion step will obviously be in 2019, but that’s fine. Just makes your 8606 a little more complicated. Whoever you talked to at Vanguard is apparently not familiar with the pro-rata calculation demanded by line 6 of Form 8606. They’re right that you COULD convert to a Roth IRA, but it wouldn’t be what you really want due to the pro-rata calculation. I don’t think Vanguard phone reps are authorized to provide guarantees about tax advice such as this rep did. So either they did/said something dumb or you misunderstood. Thanks for the quick reply. I’d probably be willing to do the extra work to do the 2018 Roth but I’m not quiet maxing out my SEP 2018 I’m close. Would it be worth using some of the SEP contribution to contribute to a back door Roth for 2018? Don’t have enough info to say. I would probably do the SEP first if I were in my peak earnings years. 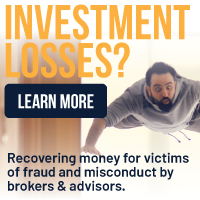 Do I have to get rid of inherited IRAs (ie convert to 401k’s) to avoid the pro-Rata rule to fund a Backdoor IRA? No. They don’t count. Per the instructions, you file a separate 8606 for each inherited IRA. I fear I have really screwed up my attempt at the backdoor Roth conversion. I contributed $5500 to a Vanguard traditional IRA in December and then shortly after converted it to a Roth. However, an old SEP IRA from a different bank was not yet 0–in process now. So…..it still had a balance on December 31. What are the awful consequences–for this year and future years? Many thanks! You’re about to learn all about the pro-rata rule. Basically, for 2013, you’ll have to deal with the pro-rate rule and most of your backdoor Roth IRA isn’t going to work quite the way you hoped. However, during 2014, you should roll that SEP IRA into a 401K or convert it to a Roth IRA and all will be well in the end. It’s just going to make your 2013 taxes more complicated. I have a situation. You said I should have 0 balance by Dec 31 of the year I make the roth conversion from a traditional IRA. Now I have some funds rolled over to my traditional IRA from my previous employer sponsored 401K plan, which need to be moved out (to an individual 401k plan, as per your suggestion). I am working as a locum tenen now and will receive a 1099. I do not own any business/corporation. Can I open an individual 401k with say Fidelity. Apparently, Fidelity denied to let me do so since I do not own any business. Can you please advise what to do in this situation, to reap the benefits of backdoor IRA? What do you mean you don’t own a business? You absolutely do. It’s a sole proprietorship. Get an EIN from the IRS and tell Fidelity you own a business and open up that individual 401(k). Thank you so much for your prompt reply. I believe I go to irs.gov and apply online for the EIN. Is there any fee for doing it myself? I have brokerage, IRA and roth IRA accounts with schwab. Do they allow rollover from IRA to individual 401k account. I have another question. 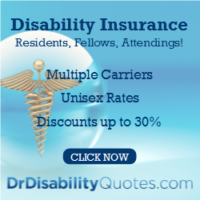 As an individual contractor what will be my best option for purchasing health insurance for family? My wife is joining school this fall and we may all join the student health insurance, which is not so good. In that case will 100% of the premium be tax deductible? I don’t think there is any fee. Here is my article on individual 401(k)s but be aware that their websites often say one thing and their representatives another. I’m continually updating the data as readers tell me about it. I don’t know of an individual 401(k) provider that doesn’t require an EIN. But it isn’t a big deal. A couple of minutes online and no money. time? Should I hold current amount in traditional IRA then add the additional $5500 for this new year in a few months and convert everything to a Roth IRA later in the year? Thanks in advance! Just convert it now and make sure you fill out your 8606 right. Was “shortly after” also in December 2013? If so, you will have to pay some taxes on your 2013 conversion, which may not be a big deal depending on what exactly you mean by “in process now” with regard to getting your SEP balance to zero. If you are converting the SEP to Roth in 2014, no big deal on your mess-up in 2013 — you pay a little more for 2013, a little less for 2014. If you are rolling the SEP over to a 401k-type qualified plan, be sure to rollover only the pre-tax money, not the after-tax money as a result of applying the pro-rata rule for 2013. If you rollover the whole SEP, you will eventually pay taxes twice on part of the money. Alternatively, you can recharacterize your 2013 conversion and redo the conversion in 2014 (must wait 30 days) after you clear up the SEP. Thanks, that’s very helpful. I knew I would be paying some taxes with the conversion process this year. I wanted to get rid of the SEP in order to facilitate doing tIRA–>Roth conversions in the future. The SEP is relatively small with a balance of $8000. I am transferring the assets to my Vanguard tIRA and will then do a conversion to the Roth–pre tax money only. I’ll have to check into recharacterizing the 2013 conversion–don’t know much about it. Don’t worry about recharaterizing then if you are going to convert the SEP to Roth in 2014. ?typo on step 3. You stated, “is essentially the same process as opening the traditional Roth IRA.” I believe you meant “traditional IRA”, not “traditional Roth IRA”. It just seems a little confusing. You can delete this post after you read it. Thanks for pointing that out. I just corrected someone in a comment only to find I made the same mistake. Nice and timely summation of a topic I’ve been very interested in. I have an IRA through a former (and rather nasty!) employer, who sent out paperwork as a 1099 on it – so I had to pay taxes on it already. I’d like to roll this over to a Roth, and would expect, since it’s already been taxed, it would be considered a non-qualified IRA, and as such, the conversion would be taxfree, as you outlined above. I”m not sure what you mean by an IRA through a former employer. IRA stands for individual retirement arrangement, and doesn’t come through an employer. Do you have a SEP or SIMPLE? Those should be pre-tax. Something is screwy here. I agree, if you hire an accountant, make sure they correctly fill out the 8606 form. I have always done my own taxes on TurboTax, but about 3 years ago I decided maybe I should hire a professional because I might be costing myself more in lost tax savings than if I just hired someone. I hired a very reputable local professional (not one of these H&R block outfits). This year I got an IRS notice saying I owed $10,000 on my Roth Conversion from the year he did my taxes. I noticed he never filed the 8606 form. I sent in my response with the form and everything was resolved. I’m back to doing my own taxes. I am a graduating resident, so this is my last year to do a pure Roth, and also the first year I have had disposable income to contribute. The IRS considers you to only have one ROTH IRA, even if you have accounts at tem places. The term IRA stands for individual retirement arrangement, not account like most people assume. You can have as many as you want, but can only contribute $5.5K total ($6.5K total if over 50) to all of them. I have 3 different Roth IRAs- one at Vanguard, one at Bridgeway, and one at Lending Club. Remember Vanguard has a number of funds with a minimum of $1K. What happens if I contribute to a tIRA based on my measly resident income, deduct it and send my taxes in the next day, and then on the third day convert to a Roth…? It’s the same as if you just contributed to the Roth in the first place. To my understanding when I recently rolled over a SEP IRA to a Solo 401K, and now about to do a backdoor conversion is that you can have have a SEP or other retirement vehicles, you just can not contribute to them the same year you do the conversion. So if you have a SEP, you can still hold onto it, but don’t add money to it the same year you want to do the backdoor Roth conversion. You can add money to it the same year, you just have to convert the whole thing or roll it into a Roth IRA. All that matters is the SEP IRA balance on December 31. 1. The market drops considerably so my ‘cost basis’ would (hopefully) be close to zero when I convert (rather than about 15K as it is now) such that my tax liability would also be near zero. 2. I retire early and have a few years when my taxable income is zero or minimal. This would place me in a lower tax bracket and any tax liability resulting from non-deductible IRA to Roth IRA conversion would therefore be minimal. Your thoughts on this strategy? My wife’s situation presents more of a problem. 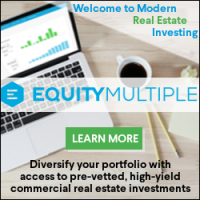 As she has not worked for the past 8 years (since I began non-deductible IRA contributions) and has considerable investments in multiple IRAs (totaling perhaps $150K). What you advise for her? 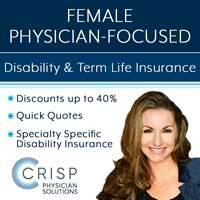 As she does not work currently, I cannot set up an individual 401K with Fidelity to accept rollovers for her deductible IRAs. I am hoping she either a) Starts up her own business earning at least $14k per year so she can open a individual 401k or b) Goes back to work as a teacher and opens a 403b that accepts rollovers. 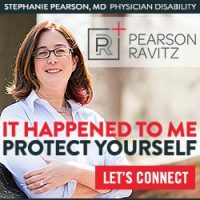 Any further ideas on how to handle my wife’s non-deductible IRA contributions since her current deductible IRAs present a conversion problem vis-a-vis the ‘pro-rata rule’? 1) You have your ‘cost basis’ backwards, but point taken. 2) That’s fine if it’s coming up shortly. If it’s still far off, by that time your $55k can become $255k. 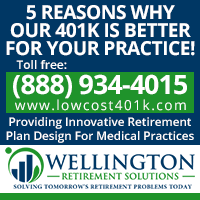 You can rollover $15k pretax money to a 401k now and convert the remaining $40k. See the charts in my article linked in this post. Your wife doesn’t need to earn $14k before she can open a solo 401k. $400 will do. How about tutoring? I actually don’t have the ‘cost basis’ backwards. I have been making NON-DEDUCTIBLE IRA contributions over the past eight years totaling about 40K contributed which has grown to about 55K. Thus,my tax liability for a conversion would only be the difference (55K-40K=15K taxable at my marginal rate). The reason: I made these contributions for purposes of asset protection but was unaware, until only recently, that I could convert to a ‘backdoor’ Roth. I will look for opportunities for my wife to earn $400 as a sole proprietor. Who knew the minimum to open a solo 401k was so small?! He’s saying your basis is backwards because the $40K is the basis. You don’t pay taxes on the basis in the conversion. You’re right that if the market drops before you convert that you’ll save taxes. The opposite, of course, could easily occur. Since the market goes up most of the time, I would convert yours sooner rather than later. In fact, I would have converted as I went along each year rather than saving it all up. Right now if you converted you’d owe about $5K. It’s quite possible in a few more years you could owe a lot more on a conversion. I wouldn’t wait for a lower bracket, since the increase in value is a far bigger factor. I agree with Harry that if you can isolate your wife’s basis that will be the best course. I managed to do that with my TSP money a few years ago. Is there actually a minimum amount of earnings you must have to open a Solo 401K? I’m not even sure you have to have earnings, do you? Just a viable business with an EIN as far as I know. Thanks for clarifying. Harry Sit implies in his reply that my wife would need at least $400for a sole proprietorship to qualify for setting up a solo 401k but you seem dubious. Any idea where I might find an answer to this question? I don’t know if he was using $400 as a specific number, or just saying you need very little income to justify a Solo 401K. I have never heard of $400 as some minimum income needed. I appreciate this and hope I can utilize it in the future but really. How dumb are our tax rules? Why not just let everyone have a ROTH regardless of income and make it easier? I am sure you are aware that government makes everything more complex. It ends up creating more jobs to understand and work through the complexity. Look at medicine today and how much paperwork is now required to do very simple things. In the past you can just send in your bill with a short free hand note and that was it. 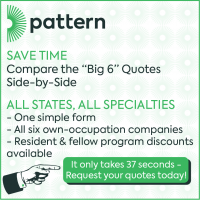 Now you need someone for coding and billing, claim disputes, file management. I wish I had something like this post 5 years ago. It took me way to long to figure this out on my own. So I have about 20K in a traditional IRA from before I qualified to contribute to my group’s 401k. I became ineligible to contribute more to the trad IRA once I qualified to the group’s 401k and have been maxing the 401 since then. My question is, can I open another trad IRA account, put post-tax money in it, and just backdoor this new one to a Roth. Will my older trad IRA (with untaxed money in it) be any hindrance to this plan? Yes. You must get rid of the old IRA. All IRAs are included in the pro-rata calculation. Roll it into your 401K or pay the taxes and convert the whole thing. I am a little confused about the pro rata rule. 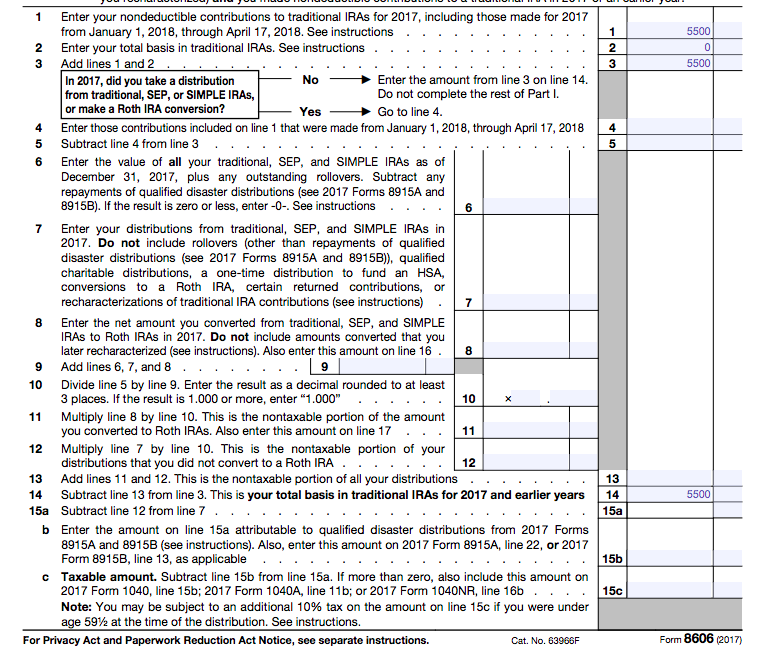 If all IRAs are included in the pro rata calculation, and I move money into a Roth IRA, will I have to figure out where to stash it next year, so I can backdoor again? Won’t that defeat the whole idea? Or do only traditional IRAs, Sep IRAs, and Simple IRAs count toward pro rata, and not Roth IRAs? Thanks! Exactly. Roth IRAs don’t count. Only traditional, SEP, and SIMPLE IRAs. I don’t quite understand these…can you explain? Perhaps the best explanation is the cream in the coffee example. The non-deductible dollars in the IRA are the cream. The tax-deferred dollars in the IRA are the coffee. Once you mix them, you’re not getting the cream back out, it all comes out as a mixture. What I do is I put the cream in an empty cup. Then I convert it. Since it is all cream, I pay no taxes. If you already have 4 ounces of coffee in the cup, then add 1 ounce of cream, it all comes out as a mixture. If you only take out 1 ounce of creamy coffee, then you pay taxes on 4/5 of it, since it is 4 parts coffee, and 1 part cream. That’s the pro-rata contribution. In dollars, let’s take a look at this example. You have a $20,000 tax-deferred IRA. You then add $5000 of non-deductible IRA contribution. There is $25,000 in the account, with a basis of $5000. If you convert the entire account, you pay taxes on $20,000 and you get $5000 tax-free. If you convert half of the account, you pay taxes on $10,000, and $2500 comes along tax-free. thanks. but I still don’t get it. I don’t mix cream with coffee. Keeping old tax-deferred IRA at Brokerage One; open new non-deductible IRA and just convert it at Brokerage Two. Why I have to get rid of old IRA (rolling into 401K) before doing that? That’s just the way the tax laws work. All IRAs are considered together, no matter where you hold them. Work through Form 8606 and you’ll see why. The IRS knows how much you have in IRAs because it is reported each year. The person above could also transfer 20k into any 401k/403b that accepts transfers. Then he can backdoor the remaining 5k at no tax liability. At least, this is how I understand the schematic from Harry Sit. I have 40k in a traditional IRA that was initially rolled over from a prior employers 403b. I also contributed 5.5k to traditional IRA in 2016 and 2017, both nondeductible. For 2017 I was initially thinking of doing a backdoor ira but have not rolled over my prior 40k traditional by December 31, 2017. Can I rollover my 40k into my current company’s 403b and then can I convert 15k to backdoor for 2018 (5k contributed in 2016, 2017, 2018). Or is it better to rollover all I have (including the 2016 and 2017 contributions) into current company’s 403b and just backdoor 2018. Don’t want to pay too much pro rata. Thanks! Assuming I already hold a combination of traditional IRA’s and Roth IRA’s, could the pro-rata rule be avoided in retirement if I deplete the the traditional IRA’s before touching the Roth IRA’s ? The pro-rata rule only matters for conversions. So if you wanted to do conversions in retirement, then yes, once your traditional IRAs are spent, you could do conversions without worrying about the pro-rata rule. That’s kind of too late for what you’re trying to do. Please help me understand the timing of this. Do I have until tax day 2013 to do the initial contribution and backdoor conversion for 2012 or did this already pass on December 31st. Also, can you refer me to the listing of the hierarchy of investment accounts. 1) 401k up to company match 2) hsa 3)… Etc and where this would fall along that spectrum. The deadline for contributions is April 15th of the following year. There really is no deadline for conversions. The deadline to get rid of traditional IRAs to avoid pro-rata calculations on taxes for that year is December 31st. So the deadline for a 2012 contribution was April 15, 2013. It’s pretty tough to pass up on that tax break, even with the credit risk. Good reason to spend that money first in retirement, of course. Hi. Great post. I have 2 questions. 1. Where do things like making a 529 account for kids come in this hierarchy ? 2. 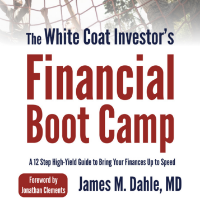 And my second question is – Since my income is high and i have already paid my tax on that $5500 ( that i plan to put in trad ira), doesnt it make sense to convert it to roth ira every year ? I mean why isnt it a ‘no brainer’ ? 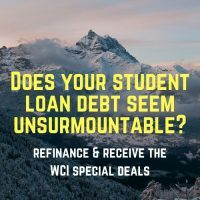 The reason i ask this is that a lot of websites say , “this conversion might not be right for you if you are going to be in a lower tax bracket at retirement”, but i think that since I am funding this trad ira with POST tax dollars, why to leave that money in trad ira (only to be taxed again on withdrawal) . Please let me know if am thinking wrong ? Also , I have heard that I am subject to penalty if I open a roth ira if my employer is already providing a 403B ? Your list isn’t bad. However, I wouldn’t add 529s to it because they’re aimed at a completely different goal. 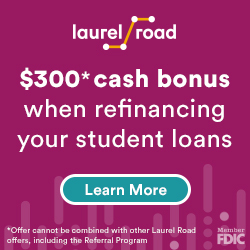 While everything else is about improving your financial position (primarily getting you to financial independence), 529s are for college funding. So they’re above and beyond anything on that list. Yes. 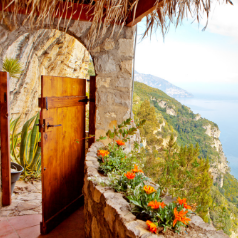 The Backdoor Roth IRA IS a no-brainer because you’re comparing a tax-free Roth IRA to a taxable account or a non-deductible traditional IRA and the Roth IRA always wins that comparison. You’re confusing a standard Roth conversion with a Backdoor Roth IRA. They aren’t the same thing. One is contributing to a Roth IRA via the backdoor (always a good move) and the other is pre-paying tax on a tax-deferred account, which may or may not be a good move. No, you aren’t subject to a penalty for opening a Roth IRA just because your employer has a 403(b). Whoever told you that is ignorant at best. Sorry, im still a bit confused with the concept of a backdoor roth despite reading the blog and comments. Can you please help me? I get the concept that its another avenue of money to draw from if you retire “early” esp if before 59.5 and you need money to float you. Or that there are less penalties should you need to draw from it, but again what i have a hard time understanding is if you are in a high tax bracket say 30-35% and your paying this on your income and then taking 5500 out of THAT SUM and putting it into a tradition ira to roll over into a backdoor roth your still taking a pretty large tax hit right? I must be missing a concept here. Are you saying that i can put pretax money into a traditional ira and then roll it into a backdoor roth? I feel like one way or another i am going to pay tax either on my income or when i roll it? Am i missing the ball? Thanks for the help I appreciate it! You pay the taxes on that money up front either way. Now you need to ask yourself if you would rather the money grow tax-free in the future or be taxed as it grows/kicks off dividends and capital gains. In addition, would you like it protected from your creditors and to pass to your heirs outside of probate? If the answer to those is all yes (and of course it is) then a Backdoor Roth IRA instead of investing in taxable makes sense. Remember that for a high earner with a retirement plan at work, a traditional IRA contribution is NOT deductible. So you’re not choosing between tax-deferred and tax-free. You’re choosing between taxable and tax-free. Has anyone considered a Roth IRA that a teenager can fund? Can I have my teenagers work in my office doing filing and making copies and get them some earned income? Some day they will appreciate never having to pay taxes on the compounded earning. Absolutely. In fact, many parents “match” their teen’s income, so all of it goes into a Roth IRA, but they still get to spend it all thanks to the Bank of Mom and Dad. My parents helped me open an IRA when I was 10. This was pre-Roth, but by the time the Roth option came along, I still didn’t have any significant income so I was able to convert it without paying any taxes. In fact setting up a Roth IRA account for your kids is a great way to pass money down to them that will never be taxed again. And heaven forbid they actually learn how to work in the process, obviously them working is an essential component to being able to contribute to the account. Thanks! Thats a great tip Jon. Does that in any way help in my taxes if I open one for my son? Just realized my son actually has to earn some money before I can put money for his Roth. For now its not a reality. Wow, this is crazy timely. I just got a 2013 1099-R in the mail from vanguard and was crapping my pants. It says I got a distribution from my Traditional IRA of $5500 (which I did not, I just did the back door Roth) and that $5500 of it is taxable because of “early distribution, exception applies”. 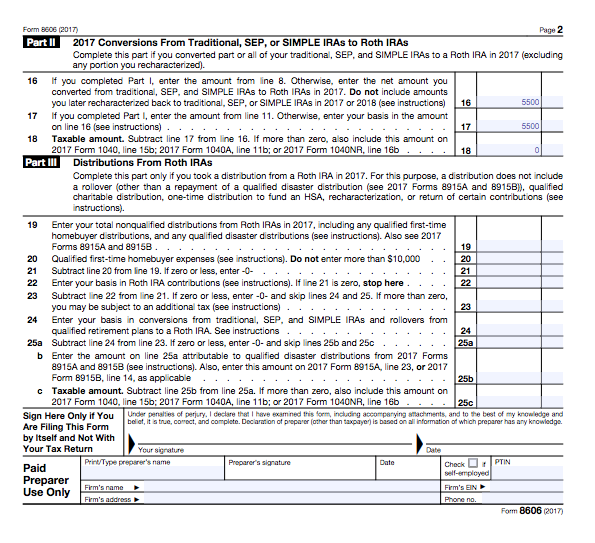 Did I F something up on my taxes last year (never filled out an 8606 last year, I did do a backdoor Roth for the first time in 2012), F something up in the timing of my conversion to the Roth, or is this a non issue that gets worked out with the 8606 form? 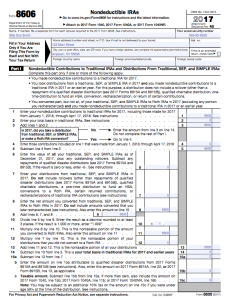 Do I need to go back and file an 8606 for 2012 taxes? I am not very tax savvy and may have gotten penalized without even knowing. We should all get a 2013 1099-R this month. If you did a backdoor Roth in 2012, you should have done a 2012 8606 9 months ago. 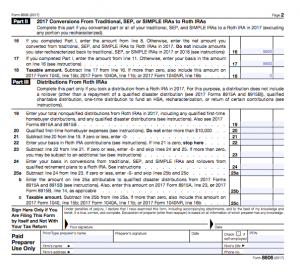 So YOUR 1099 will say the same thing, that you have $5500 in taxable distributions? And we just ignore that because the 8606 cleans it up? When you fill out your taxes, you do own up to that 1099 but it gets negated by the 8606? My wife’s looks the same. A few years ago, I made the mistake of rolling over a 401k from a former employer into my nondeductible, traditional IRA. I didn’t realize until afterwards that it would complicate tax matters for backdoor roth conversions going forward. Currently the value of the trad IRA is less than the sum of my nondeductible contributions plus 401k rollover(due to market losses). I now have the option to rollover pre-tax funds to a new employer 401k. 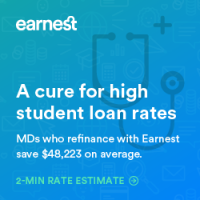 Should I only do it for the amount in my trad IRA that is above my nondeductible basis? (rather than the original amount I rolled over from my old 401k). So, just to make sure I understand correctly, even if I already have commingled funds, I can still rollover only the “pre tax” portion to a new 401k and keep only post-tax dollars for my Roth conversion, up to the amount of my original basis, and be able to avoid taxes at conversion? Thanks, your website is awesome–you helped me find a solution to something that’s been bugging me for a couple of years! If the 401K accepts transfers and only accepts pre-tax money, then roll all the pre-tax money into it, and then convert what’s left. No taxes should be owed. my current 401K is with vanguard. 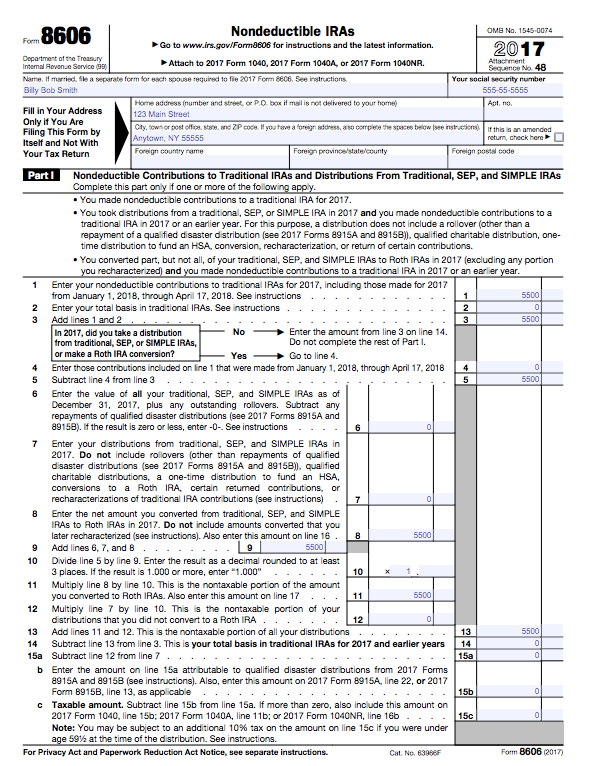 I had a 403 B that was transferred to a traditional IRA years ago from my previous employer. 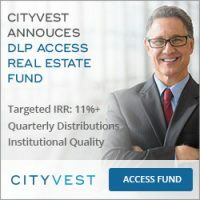 Vanguard won’t accept these funds into my current 401 K. How or where can I eliminate this traditional IRA so I can do my backdoor ROTH,. You can either find another 401(k) (at a job you have now, a job you can get, or an individual 401(k) opened at Fidelity or etrade) or you can convert the entire amount to a Roth IRA. By the way, Vanguard does close accounts with 0 balance – after 18 months. We discovered it on Dec 31st when we wanted to do the contribution exactly as described above. However, the last conversion out of that account was in June 2012 (for some reason we did it mid-year then), 18 months and 12 days earlier and the traditional IRA was missing, so we had to go through the trouble of reopening. Just watch out for the 18th month mark, or do it around the same date every year for simplicity, that’s what I intend to do in future. They closed my wife’s before 12 months went by!!! I was quite peeved. For some reason they didn’t close mine, and it was 0 for the same amount of time. I reopened my wife’s and put auto investments into each one, hopeful they won’t close an account early if it has an auto investment heading into it. (My auto investment is $5500 on December 6 each year). That was helpful. How about doing a similar tutorial on form 5500 for individual 401k accounts with assets over $250k? Jim – How long do you keep the money in the converted Roth in Prime money market funds? When you exchange/ convert to some other funds like Vanguard Total Stock Exchange, does it create any issues? I wish you can do a similar detailed post about rebalancing portfolios at the end of the year and how to harvest tax losses. 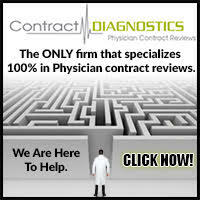 I am a new attending an have been recommending your website to all our residents and fellows. Thanks. I will look into them. On a different note, if I am saving aggressively, and have maxed out by 401k, 403b, college savings, etc – what are the other options? I could put money into traditional IRA’s, but if I put a lot in to it – it will make it impossible to do the Roth conversion anymore (pro-rata), right? My wife’s a physician too and we don’t see any major options which are tax efficient and are relatively simple to implement. 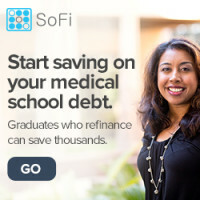 We are also doing the HSA and dependent saving accounts based on your posts. However, both these are employed based plans and makes it compulsory to withdraw the money in the calendar year unlike your HSA. 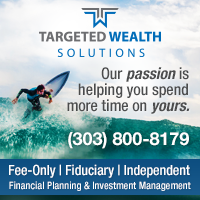 You are limited to $5500 total ($6500 if over 50) per person into traditional IRAs and Roth IRAs for the year. 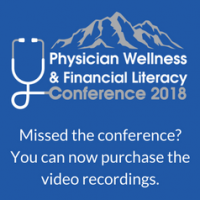 HSAs are not employer based. You’re thinking of an FSA or something. I’m not sure what a dependent savings account is, but perhaps consider a UTMA/UGMA for money you want your kids to have. Sounds like it might be time to move on to a taxable account. It can be very tax-efficient if you do it correctly. Any way you could add a “print” button to make it easier to print out your articles in an “easy to print” format? Hmmm…..That’s a great idea. I’m not sure how to do it but I’ll look into it. Well, that was easy. Look for the little buttons on the lower right corner of each post. I started an traditional IRA with Vanguard last year and placed $5500 in it with the thought of converting it to a Roth IRA but never did. 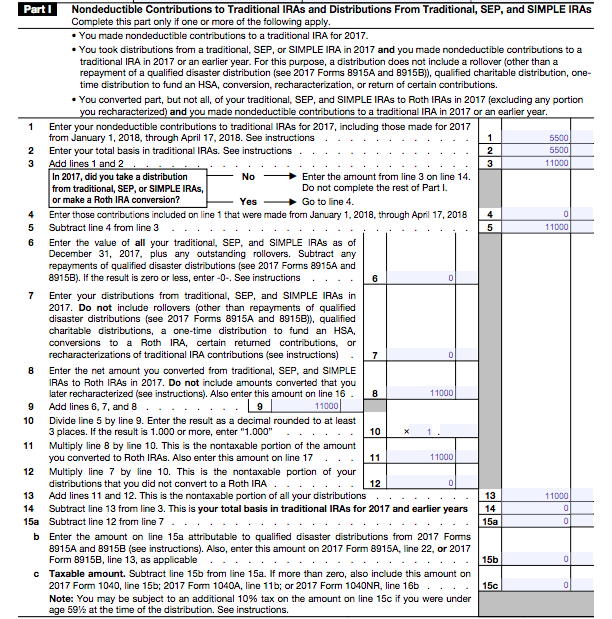 Can I still convert the traditional IRA to a Roth at this time and have it count on last years taxes(2013) and then latter this year, contribute $5500 to my traditional IRA(I have not contributed anything yet in 2014) and convert it to into a Roth IRA a short time later all during this calender year? You can still convert it now. There is no “counting” on the taxes. You don’t get a deduction for the contribution and don’t pay taxes on the conversion. The end result is just like contributing after-tax money into a Roth IRA. Make your 2014 contribution, then convert the whole thing. Wouldn’t this mess with the prorata in the future? Is having the account closed such a bad thing, such as will it reflect on your credit score? First, pay your bills and your credit score will take care of itself. Second, investment accounts have no bearing on credit scores. It’s only closing credit accounts that affects it. Third, the prorata calculation only has to do with dollars in IRAs, not the number of accounts. 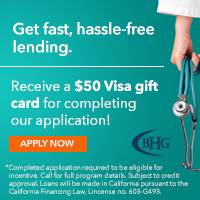 You don’t have to leave money behind. I leave zero money behind in Prime Money Market Fund in a traditional IRA every year. $5500 spends one day in the account, then it is all gone. The account sits empty for 12 months, rinse, repeat. If you have enough income that you need to do a backdoor Roth, you should have enough to fund it all in one fell swoop. Ok, so when you contribute 5500 on Jan 2nd of a given year, then convert the next day is it for that given year or for the previous? For example, can I contribute 5500 on Jan 2 2017 for my 2017 contribution and then on Jan 3 convert to Roth for 2017 and that is it? Or do I have to prove I made too much money for a Roth IRA in 2017 first? That year. I did the previous year in January of the previous year. But you could do it that way if you want. You don’t have to prove you made too much money to do a Roth IRA through the backdoor. Anyone can. I talked to Merrill Edge about this today.. sounds pretty seamless except that they told me if I didn’t leave $50 in the traditional IRA that they would close it in 6 mo. and then I’d have to go through the hassle of setting up a new account again if I wanted to do this the next year. Any thoughts on this… will it make things complicated tax-wise.. any workarounds? Merrill Edge? Why would you invest there? Why not just open an account at Vanguard or Fidelity instead of dealing with Merrill? You don’t have to use an old traditional IRA when you can open a new one at Vanguard in 5 minutes. WCI is right. 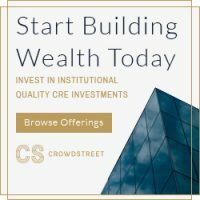 If you’re reading this deeply into the blog you should have a pretty good understanding on the investment process and likely do better than the vast majority of Merrill advisors. Generally speaking, you won’t run into a whole bunch of bogleheads around the Merrill Lynch office — you’re better off opening a Schwab, Fidelity, Vanguard, etc. Just because you bank at BoA doesn’t mean you need to stick with their investment arm. I don’t use their advisers. Merrill Edge is their self-directed area. And if you have enough money with them it’s the best deal in the business. 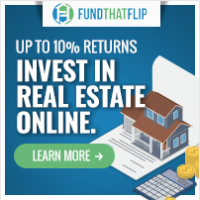 Because if you have 100K with Bank of American you get 100 trades per mo. free and so I can get any Vanguard ETF or iShares or anyone 100% free.. no trading costs, no maintenance fees, no fees of any kind ever. No better deal in the business… bar none. no to mention if you have the aforementioned 100K you get the keys to the best cash back credit card in the industry.. not to mention a ton of flexibility with your money. Bank of America has really rolled out the carpet for rich guys.. their package if you keep good money with them is absolutely fantastic. I think WellsTrade is pretty similar, lots of free trades as I recall. I know I’m not paying commissions for Vanguard funds in my HSA at TD Ameritrade as well. I’m curious to hear about the cash back card. 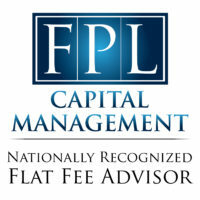 Does it beat the Fidelity AmEx (2% on everything) plus PenFed (5% on gas)? Maybe. 1.75 everything, 3.5 grocery, 5.25 gas. That is a nice card. I know this is an old thread but Z above is only referring to the Cash Rewards CC by BofA. The Travel Rewards CC by BofA gets you 2.625% cash back on everything with no limits if you have $100k combined between BofA checking/savings and/or ME. Pairing that with the Cash Rewards CC gets you 3.5% back on groceries/wholesale clubs and 5.25% back on gas (up to $2500 per quarter). White Coat — I know this thread is old, I was researching another topic and saw this. I was considering moving my HSA investments to TD Ameritrade, and I specifically see you say that you, “know [you’re] not paying commissions for Vanguard funds in my HSA at TD Ameritrade”. Can you elaborate on this? I can’t find a single Vanguard NTF fund at TD Ameritrade…there are no-commission ETF’s and no-load mutuals but I can’t find any Vanguard NTF’s…I was wanting to do what you are suggesting there, but was put-off by TDA’s $49.99 fee for No-Load funds (which most the Vanguard’s are). That would mean each transfer in/rebalance could really rack up the commission charges. What am I missing? I buy Vanguard ETFs in my TD Ameritrade HSA account. Sorry for the confusion. I’m also put off by $49.99 transaction fees. I was pleased to discover that Schwab leaves about three cents in my non deductible traditional Ira after I convert to my Roth account. They keep it open the whole year and it makes it super easy to re-contribute for the next year. They have figured this out in the last year or so because three years ago I had to re-create a new traditional Ira account after I converted. Hopefully Merrill will figure this out. If not, switch. Or call them and ask them to leave a few cents of accumulated interest that doesn’t get capitalized. This must be what Schwab is doing because I convert the whole account. I don’t really see an advantage to doing this. Why would I convert $230k of tax deferred into a Roth IRA and pay taxes when I’m in the highest bracket right now? If I prefer to invest my SEP with vanguard funds I don’t want to place my money with a different firm. I don’t see such an advantage for $5500/yr to cause me to essentially forgo my SEP when I get 51k tax advantaged space. Once I get to the point I want to save amounts above that I will set up a defined benefit plan. As a 1099 SCorp this would be most advantageous, correct? I am assuming doing these back door Roths are mostly for W2 situations, correct? I like to keep investing as simple as possible which every year doing a conversion doesn’t seem to be. It seems to me to be easier to just buy stocks/funds through an account like scottrade for accumulating retirement monies to be available if I want to retire early. I edited your three comments to put them all into one. You are correct that converting a $230K SEP-IRA into a Roth at the highest tax rate in order to make $5500/year Roth IRA contributions probably isn’t a good move. However, if you have a 401K, or can open an individual 401K, you can then roll that SEP money into the 401K without any tax bill, and then do Backdoor Roths for the rest of your career. You could also do a spousal backdoor Roth IRA either way, unless you’re either not married or your spouse has a bunch of money in a SEP or traditional IRA. While I agree that keeping investing simple is a good thing, leaving significant money on the table is not. Only you can decide how much money is significant to you. But consider $5500 per year contributed to a Roth IRA for 30 years vs $5500 per year invested in a taxable account. 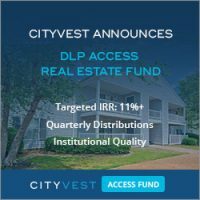 If the pre-tax investment is 8%, then after 30 years, you have $672,902 in the Roth and, assuming a 23.8% LTCG/Dividend rate, $507,259, a difference of $165,643, or about $5521 per year for the hassle of 5 minutes of work, plus maybe screwing around for an hour or two doing the initial rollover of the SEP. I’m not sure how much you make per hour, but I don’t make that much, so I find the hassle quite worth it. There are plenty of ways to get to retirement money before age 59 1/2 if that is your main concern. Frankly, if you’re in the top bracket, you’ll probably have plenty of taxable money above and beyond your retirement accounts including backdoor Roth IRAs. You can have an individual 401K at Vanguard, although you’ll probably need to open one elsewhere to do an initial rollover of your SEP since Vanguard’s doesn’t accept them. Good luck with your decision. I hope you at least see the advantage, whether or not you feel it is worth the hassle. You are right JIm. I did this the first time this year and it didn’t take more than 15 mins. Also, don’t forget 5500 for your spouse, which doubles all the figures Jim just mentioned. As Jim mentioned before, once you have maximized your 401k and other similar accounts, this provides a great tax diversification. I definitely see how it can be beneficial, but you are omitting the fact that it costs money to setup you’re own 401k as a corporation, followed by the ongoing accounting costs of filing returns for the 401k. At least that’s what my CPA told me today. Do the math on a Roth growing at the same rates you showed vs putting 9-10k/yr (pretax Roth funds) into a defined benefit plan. Once I retire I will have a much lower marginal tax rate and I would have had almost double the money grow for 20+ years? Am I wrong on these points? I’m not trying to be argumentative, but a Roth isn’t always the best strategy for high income earners. Unless of course I am completely misinformed by my CPA. No no, you’re thinking about all the right things. I agree that you should max out all tax-deferred accounts before funding a backdoor Roth. That includes a defined benefit plan. I suggest you use a backdoor Roth instead of a taxable account. It doesn’t cost money to set up an individual 401K. It was free. It may cost money to set up a corporation, but you don’t need one to open an Individual 401K. You just need an EIN, which is free. In my view, an individual 401K + Backdoor Roth IRAs is a whole lot less hassle than a defined benefit plan. Once your individual 401K plan his $250K, you do have to file an additional form (5500) each year. I suppose that would be an expense. Great post. We’ve avoided the back-door ROTH because my wife and I both have substantial SEP-IRAs from an S-corp with other employees. I assumed we couldn’t hide the SEP-IRAs in a individual 401k since we have employees and I hadn’t thought of the new EIN. But then going forward the SEP-IRA still felt easier to manage than 457s, 403b, 401s, etc as it restricts eligibility to certain employees. Thoughts? What am I missing? I agree it gets tricky with employees, and sometimes a Backdoor Roth IRA isn’t worth what you may have to do to get it. 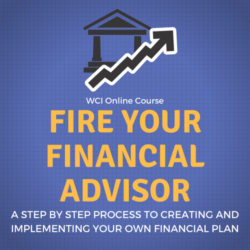 WCI, you said above: “Once your individual 401K plan his $250K, you do have to file an additional form (5500) each year. I suppose that would be an expense.” I have almost $550,000 in my Traditional IRA. I wanted to do a backdoor Roth, but your blog and several others who are your fans, stopped me because of the pro- rata rule. My tax accountant felt it was OK to go ahead and do it – she does not understand the pro rata rule (which I have read extensively about this week!) and says “you wont’ owe taxes on the $5,500 you roll over”, which I know! I want to open a Solo 401 K, but have some reservations as I quoted you here, because I have double the amount in my TIRA. SO my questions are : 1. Were I to open a solo 401 K, can I start with this high amount? 2. What are the expenses 3. Since there is hardly any time left in 2017, and Vanguard/Fidelity have high call volumes, I want to do this in quiet time in 2018 after making sure I have all my information. So will I be able to do a backdoor ROth in the same year as I open the Solo 401K, i.e in 2018, or will I have to wait to 2019? 1. Yes. You just have to do a 5500EZ each year. It’s no big deal. I started doing them last year. 2. Vanguard has no additional fees, but doesn’t let you use the cheaper admiral funds. Be aware Vanguard doesn’t take rollovers though, so you will probably have to go with Fidelity or etrade. Fees are low there too. 3. You could do it all in 2018. Thanks. Yes, I learnt the hard way! No wonder I was confused when I moved my assets from Fidelity to Vanguard to consolidate them as every one raves about Vanguard. Vangurad put my Rollover money into a TIRA and I was clueless what the difference was and Vanguard did not tell me either when accepting my $$. So your #2 makes sense now. Just an hour ago, I called Fidelity and they will take the Vanguard TIRA back into my ex-Rollover account – will initiate the move after this long weekend is over. So I have missed out on the 2017 backdoor IRA, but I will do it for 2018 (your #3) early enough in 2018 to take the advantage of the entire year. Just want to make sure, that once the TIRA gets recharachterised as Rollover at Fidelity, I can do backdoor in 2018 thru the then empty Vanguard TIRA without pro-rata consequences? You can do the 2017 contribution until April 15. And no, you need to get rid of all traditional, SEP, and SIMPLE IRAs in order to avoid the pro-rata issue. Best to do it before 12/31 because that is when it is reported. You can’t just move the IRA to another institution.